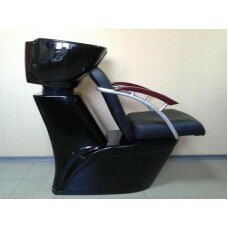 Chair-washing M00615, buy at the price of 553 in Europe. Looking for the right purchase, each one of us always wants to buy the best product at an affordable price, and the company "European Medical Systems" can fulfill your wish. Notice the chair-washing M00615. It has classic dark color, original design and more! The armrests of this professional chair and the back are designed specially, so that your body will be more relaxed at during the procedure. Durable ceramic sinks and a chair give the luxury to this model. Dark color will be perfect for any room in your office or a hairdressing salon. The materials for this furniture have passed the certification of the factory, and they are safe for you and your customers.